So I’m a little late on this, but my boy did GREAT at his two year checkup appointment a few weeks ago. 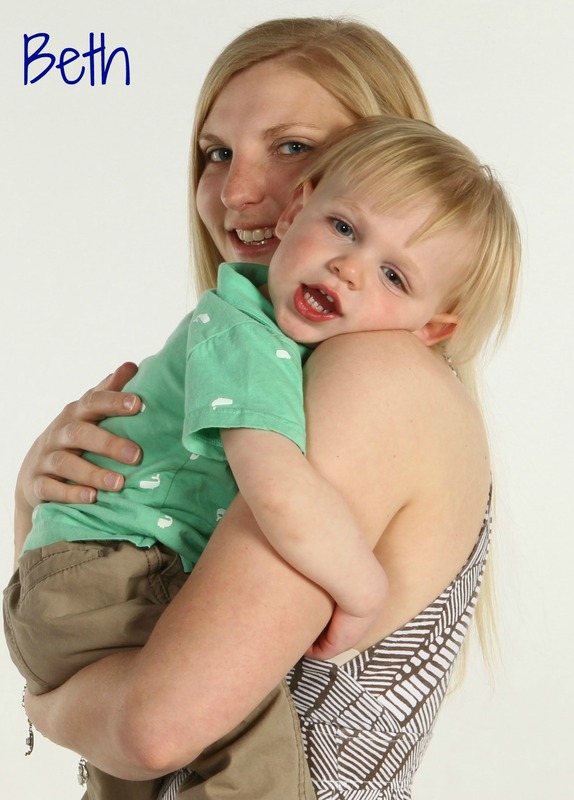 The doctor even remarked that it was one of the easiest two year appointments she’s had. Talk about a way to make a mom’s heart swell with pride. It was even better because he didn’t get any shots- just the flu mist (which I was a bit apprehensive about but figured we’d do it anyway) and a finger prick for an anemia check. He took both remarkably well. He was a little weary of the flu mist (not that I can blame him- not sure I’d like having liquid shot up my nose, either), but overall took it fine. He even did find on the finger prick… until the nurse tried to apply the bandaid. Then you would have thought she cut off his arm. He shrieked and cried and wailed and made quite the fuss. When we finally got the bandaid applied, he walked around like he was missing his hand. He wouldn’t pick up anything with that hand, and he held it out to his side awkwardly. And every single thing he tried to do resulted in a very pathetic sounding “…hellllp” whether it involved that hand/finger or not. It was actually pretty comical (if not a little annoying), and I wish I had gotten his antics on video. Does anyone else’s kid react that way to a bandaid on the finger? Or is it just mine? Before Ian was born, I invented a bedtime song for him. I kind of wanted a unique “sleepy song” and didn’t really know of any good bedtime songs anyway, so I set about trying to come up with my own…something that was just for him. I ride a carpool to and from work every day… and it’s pretty boring. So I have a lot of empty time on my hands. It was during one of these rides that the idea for his bedtime song struck me- a tune, actually, and the outline of some words. I spent the next few days piecing the rest of it together, and then I wrote it down so I wouldn’t forget it (not sure why I thought I’d forget it, as I had it memorized the same day, but pregnancy hormones can make you worry about weird things). I’ve been singing this song to Ian every night before bedtime since we brought him home. As he got into a “real” nap schedule, I also started singing it before naps. Now that he’s older, it’s still part of our ritual… he climbs into bed with his blankies and flops onto his pillow, I cover him up and say “nightnight song?” and he says “yes!” and then I sing him his song. The really amazing thing is that just within the last month or so, he’s started singing with me. It is so darn cute, and something about it just makes me smile. Ilove that we have this little thing that is just ours, and I am enjoying this ritual, even while dreading the day when he no longer wants “nightnight song”…hopefully that day won’t come for a while, but when it does, at least I’ll have these wonderful memories of singing together before bed. Oh my goodness, did October ever fly by!! What a fun, crazy, busy, entertaining month. We went to our 10 year high school reunion, celebrated our son’s 2nd birthday, carved pumpkins, and trick-or-treated like champs. 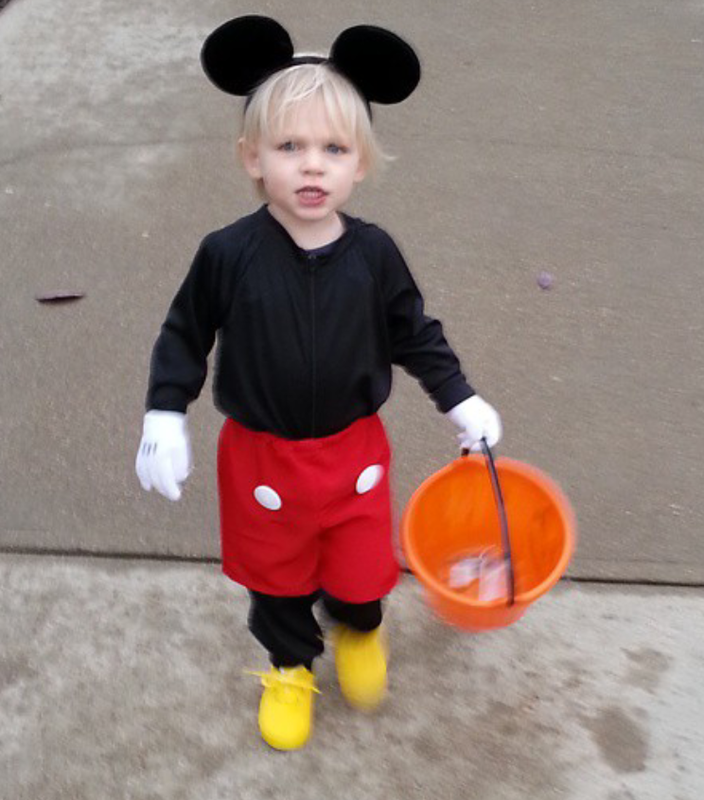 Ian was extremely excited to be dressed up like Mickey Mouse this year. He absolutely loves everything Mickey, so we knew this would be a great costume for him. The challenge was that all the costumes I found were just ugly. I am not a huge fan of a lot of store costumes anyway because I think they aren’t well made (especially for how expensive they are!). So I decided to make his costume myself, figuring it couldn’t really be all that hard. And you know what? It really wasn’t. And if I hadn’t waited until Wednesday to start, it would have been all that much easier. But I did wait, and so I was up until 1am on Friday morning getting it done, and rushing home from work on Friday to put on the finishing touches. But seeing that little grinning face in the costume made it ALL worth it. And then some. He recognized that it was Mickey right away and was excited to put everything on- he even tolerated the ears! Definitely a memorable Halloween for us, and the start of (hopefully) many more exciting Halloweens to come. What was your little one for Halloween? ?